Almost 4 weeks after Leo's birthday, I am still finding it hard to believe that I have a FOUR year old. When did he suddenly get so big, and so grown up? It's been a busy few weeks, and life with a Four year old is so much fun. All of a sudden he's an actual little boy, not a baby. Not a toddler, a little boy, who walks, talks, and even starts school in September. As if I wasn't finding it hard enough to digest that my baby is Four..He's now starting school in a matter of weeks! My four year old is funny. So very funny. Not a day goes by where he doesn't have me chuckling away at something he does, or more often than not something he says. According to Leo there are certain songs I can't sing along with, because they are 'boy songs'. It's amazing how young they are before the context of gender roles comes into play. Although having said that, when he is zooming around on Mario Kart with Mario at the helm..It's Peaches Pink car that he covets the most, yet he hates Pink...Because 'It's for girls!'. My four year old is clever, and he knows it. He knows things that I didn't even realise he knew. We have been practicing our letters somewhat recently, only through fun games usually involving Mario and Luigi.. They are his absolute superheroes at this moment in time, and thanks to them he now recognises the letters M and L straight away. While we were looking at DVDs in Tesco recently Leo pointed at the Shaun the Sheep DVD and picked out the 'M' of the word 'Movie'. I almost choked on my Caramel Cappuccino he caught me that much off guard. 'M for Mario Mummy!' he shouted. The amazing thing is he recognises the letter for a number of words beginning with 'M', which of course is pretty great as this is the year my little man is going to learn to read! My four year old has a love for adventure, and after our recent holiday to Tunisia he has been determined to return. Unfortunately due to everything that has happened in the country recently it hasn't been a possibility. He's picked up that something awful has happened through the news, he knows that a bad man has hurt lots of people. He doesn't understand how and why this has scarpered our plans to return however. It was just yesterday that Leo told me that he wants to go back, he wants to see his friends and party in the hotel bar again like before. Of course I explained that one day we would take him back, but at the moment no one is out there because of everything that happened. His reply? Well.. Obviously I am just being mean and 'I'm not your friend now Mummy! I want to go back to Tunisia!' was the only fitting answer he could muster. My four year old loves to get outside, he loves to run, hop, jump and skip and scoot. 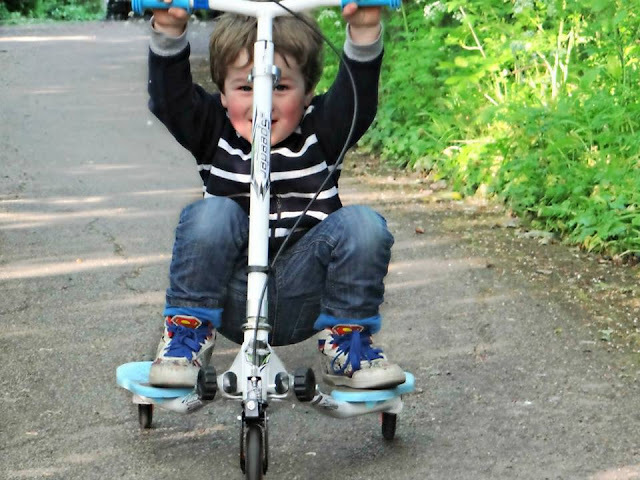 Scooting is one of his passions, and not a day goes by over the summer months where he doesn't take one of his prized possessions out to play. He never ceases to amaze me with the control he exudes over his scooting, from the movement to the handling, he really is a proper little skater boy. All he needs now are a pair of Heelys to really complete his look! He loves to keep me on my toes, and he loves popping the roof on the Mini, turning up the music far to loud and playing his current favourite song. 'Life is Life' blasts from the speakers as we drive along the road turning heads...All the while I can't help but smile as I see Leo bopping along and singing as loud as his little voice will let him. 'Life is Life, na na na!' he sings at the same time demanding 'I want it nosier! A little more, a little more!' when the volume isn't to his satisfaction. My four year old is my entire world, and I am especially excited for the new challenges that are heading our way this year. I love that he is still a complete and utter Mummy's boy, and there is nothing better than snuggling up together for a movie night under the duvet with a big bag of popcorn, and of course a whole array of naughty treats! While we were away Leo actually shouted at a man who asked to dance with me. He ran over and broke up the two step within seconds. My little body guard. He's growing up so quickly, and school is going to age him entirely. As soon as he puts on that uniform for the first time, he is going to be a school boy. And I know he is so very ready for it. 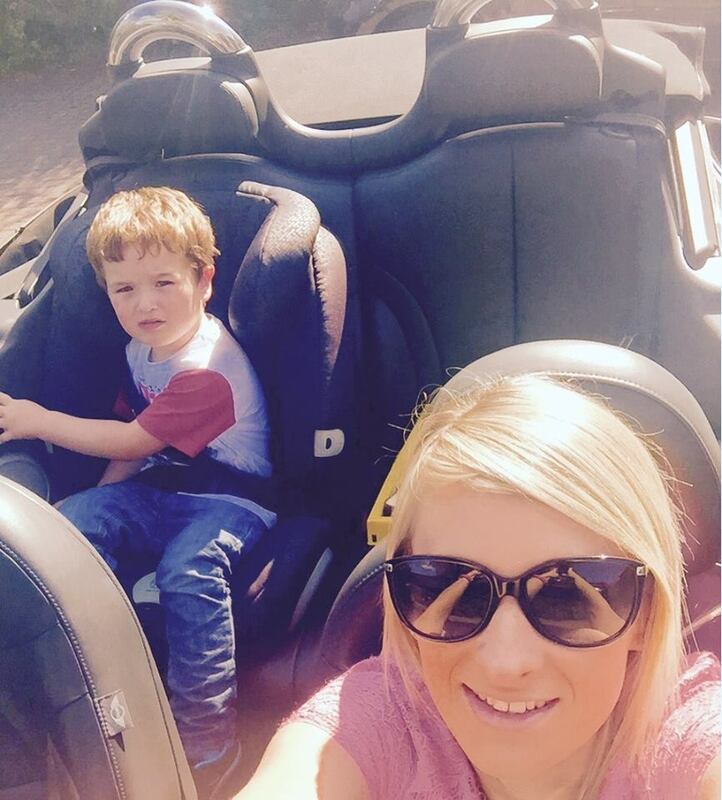 I love that pic of you both in your Mini. Four year olds are super. Enjoy every second. They are so funny at this age! Aww! They surprise you with what they know and come out with don't they? It doesn't seem like 2 minutes since my girl was 4 and now she's about to be a teenager! You look like you had so much fun together! 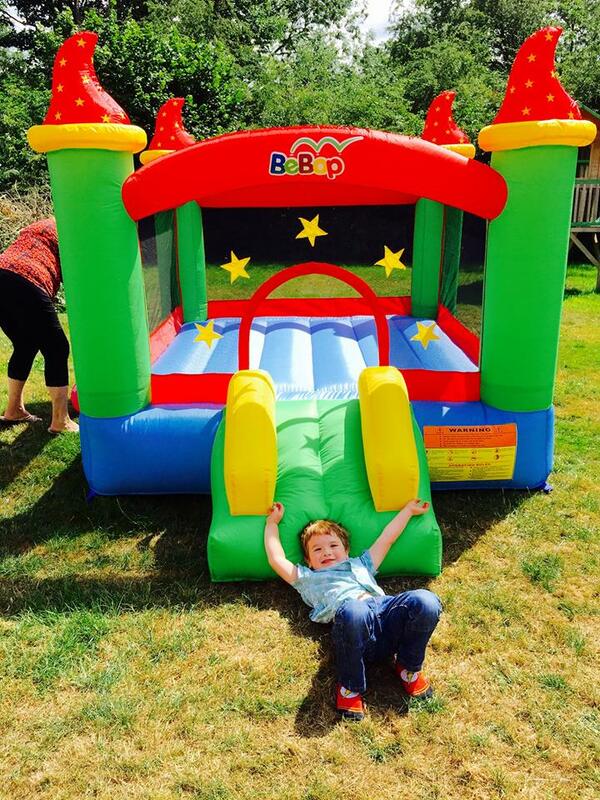 I love the bouncy castle! Aww I know it goes so quickly doesn't it? 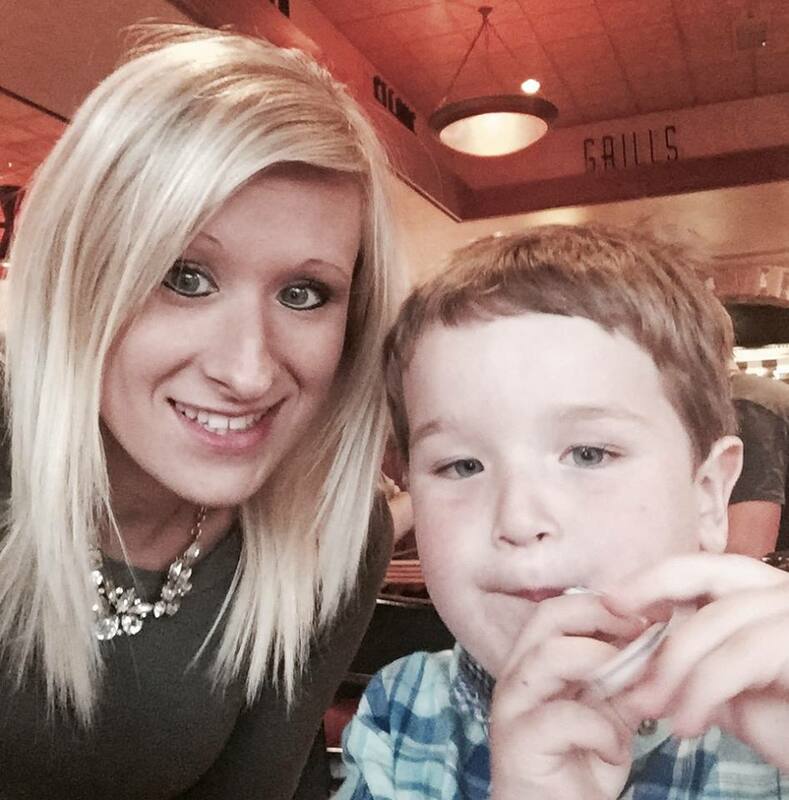 My little boy will be 4 soon..eek! Aww, what a lovely post :) My son will be 5 this year and I have no idea how that's happened!! Ahh what a lovely post. Four year olds are brilliant aren't they (most of the time!). I have one of those although she will be five on Christmas Day. Time flies past far too quickly!